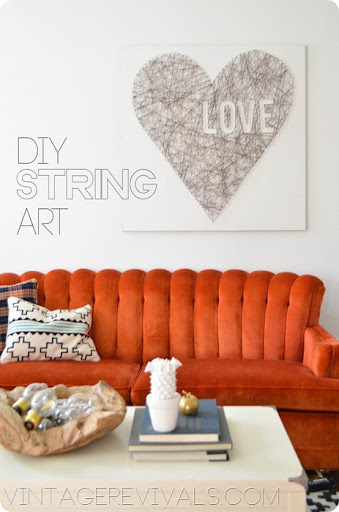 The latest Pinterest search for good DIY decorating projects resulted in one of the coolest DIY blogs I have ever laid my eyes on. Her name is Mandi and she is Vintage Revivals. Her ideas are HUGE and I love alllll of them. I am obsessed with her blog, and might or might not stalk her on Instagram… She was put on this planet to inspire people like me. So when you are done here, head on over and take a look if you haven’t already. Warning: grab a snack and a beverage, cus you’re gonna be there a while. 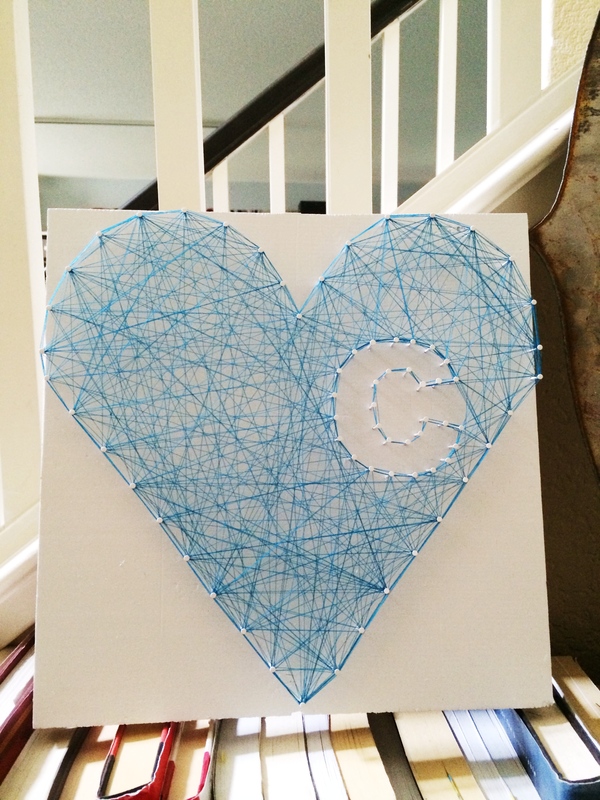 I wanted to do something similar to add to my in progress “C Wall”. I got to looking around my craft supplies to take inventory of what I was going to need. Surprisingly enough, I had the small nails this project calls for, score! White spray paint, check. Thread, check. Plywood, uhhh-nope. Hmmm…. here comes my crafty partner in crime Heather to save the day. She had some discarded wooden pieces that were going to be perfect for this! Do you realize what this means?? This project was going to be a FREEBIE!! I was going to have a one of a kind piece of art that I MADE and it was going to cost me nothing! I followed Mandy’s instructions on the heart and nail placement. 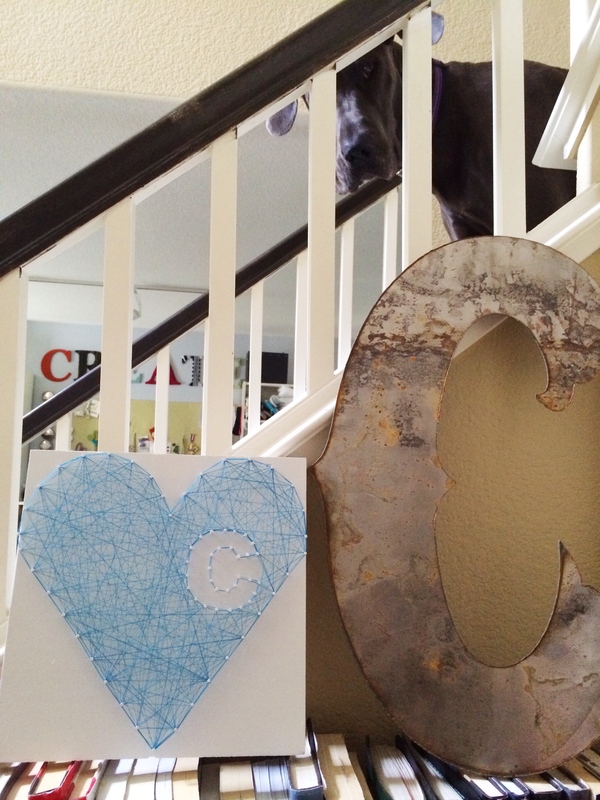 Instead of the word ‘LOVE’ I traced the letter ‘C’ inside the heart. Once the paint was dry I got to stringing in a beautiful turquoise. It turned out much better than I imagined. The turquoise gives a pop of color on the crisp white board and nails.